Preparing your t-shirts before you send them to us is very important, please take the time to read these instructions and follow them carefully. If you have any questions please feel free to call or email. Choose from your t-shirt collection the approximate number of shirts needed for your desired quilt size. If you have more shirts then needed please put a few of the least important shirts in a separate bag and mark that bag “EXTRA.” We will use those extra shirts only if needed. Visit our PRICING and BORDER pages to determine how many t-shirts you will need for the quilt size you would like. If you would like us to use all your shirts and it does not matter what size, just choose “whatever size shirts make” on your ORDER FORM. As you gather your shirts you may find other items you would like to use. Some examples are: bandanas, jerseys/uniforms, towels, baby blanket, scarves, sweat shirts or sweat pants. As long as it’s washable it can be incorporated into your quilt. Please make sure all your shirts are clean and have been washed at least once. We will use all the designs and logos on the shirts (front, back and sleeves) with the exception of advertisements. 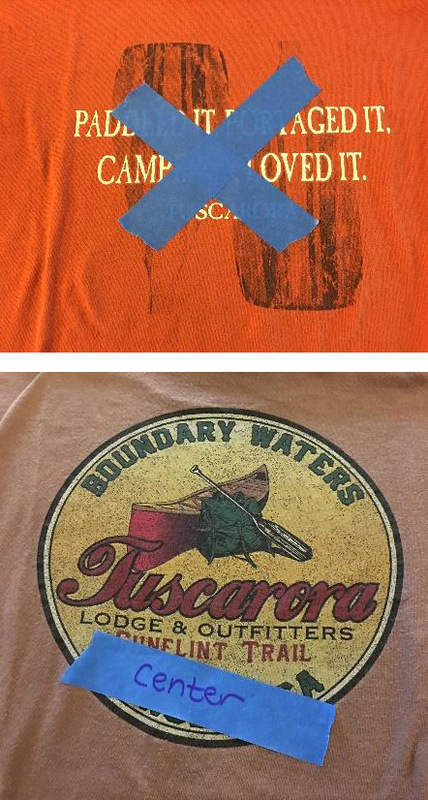 Using blue “painters tape” put an X across any items on each shirt that you DO NOT want us to use in your quilt. Please be sure to use blue painter’s tape, as masking tape will leave adhesive on your shirts! If you have 3-4 shirts you would prefer to be placed in the center section of your quilt, please write “CENTER” on a strip of blue painter’s tape and place it directly on top of the logo of those shirts. Please, DO NOT CUT YOUR T-SHIRTS. We will do that for you! We do not recommend shirts with fabric puff paint, which often cracks and has sharp edges that can damage the fabric. Please print out and complete the ORDER FORM. This must be included with your t-shirts for us to process your order. 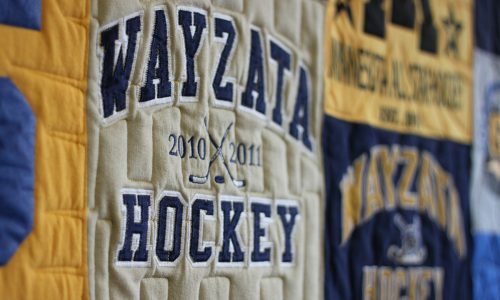 Please call, text, or email to let us know your t-shirts and quilt order form are on the way. We will send you an email once we receive them.